A team of US officials led by envoy Sung Kim met with North Korean officials Sunday at Panmunjom, the border village between North and South Korea in the demilitarized zone, senior State Department officials told CNN. 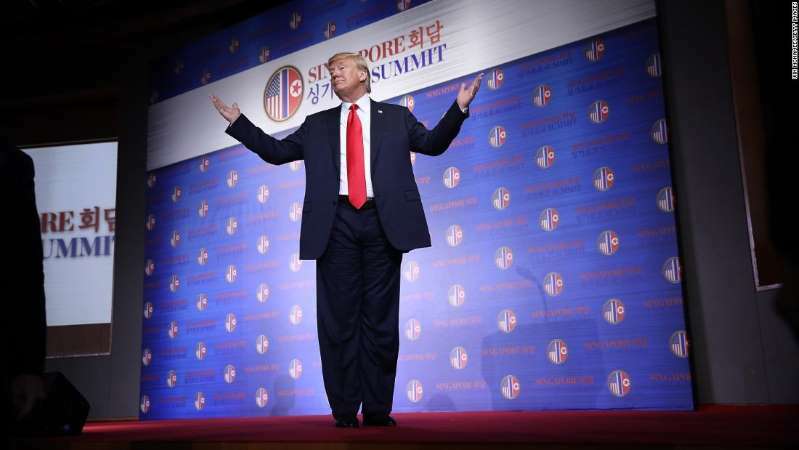 The talks were the first face-to-face conversations between the two countries since the summit last month between President Donald Trump and North Korean leader Kim Jong Un and were held to work on implementing the agreement reached between the two leaders, the officials said. Kim is the US ambassador to the Philippines and has been one of the key US officials dealing with the North Koreans leading up to the Trump-Kim summit. National security adviser John Bolton said on CBS's "Face the Nation" earlier Sunday that Secretary of State Mike Pompeo would communicate with the North Koreans in the near future about the dismantling of their weapons of mass destruction as well as their nuclear and ballistic missile programs. Bolton said in the interview that if Pyongyang cooperated, the two countries could set out a path to dismantle the programs within a year and put the isolated nation of North Korea on target to receive sanctions relief. "If they have the strategic decision already made to do that and they are cooperative, we can move very quickly," Bolton said. "And it is to North Korea's advantage to dismantle very quickly. Then the elimination of sanctions, aid by South Korea and Japan and others can all begin to flower." Pompeo told CNN late last month that he would not set a deadline for the denuclearization of North Korea and would "constantly reassess" whether enough progress is being made to continue negotiations.